Things have definitely calmed down a bit this past month and we’ve settled into the new house. It feels like we’ve been here forever! I’ve been trying lots of new things lately. One of my favorites has been painting. 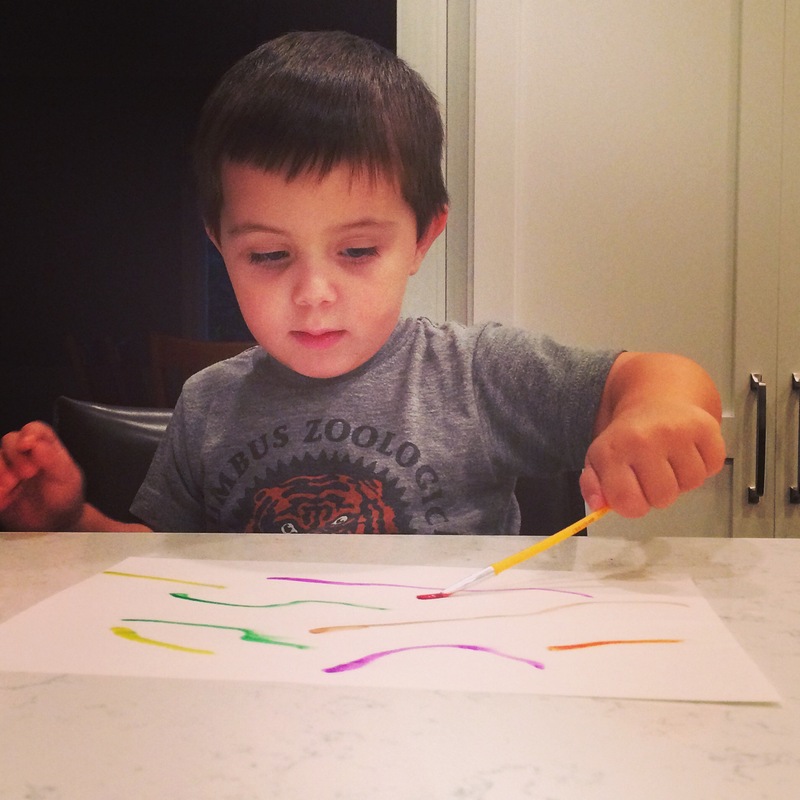 It is so much fun to pick out the colors to use and make pictures for everyone. Mommy helps me with the brushes and water, but I am definitely in charge. We have been having so much fun in the fall weather. I love to play in piles of leaves outside and picking them up to see what color they are. 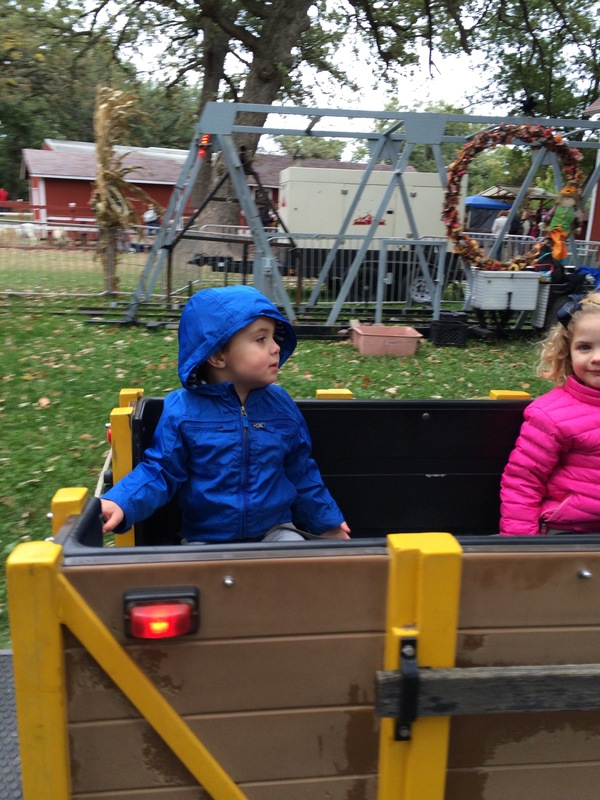 We have also been going to some fall festivals! 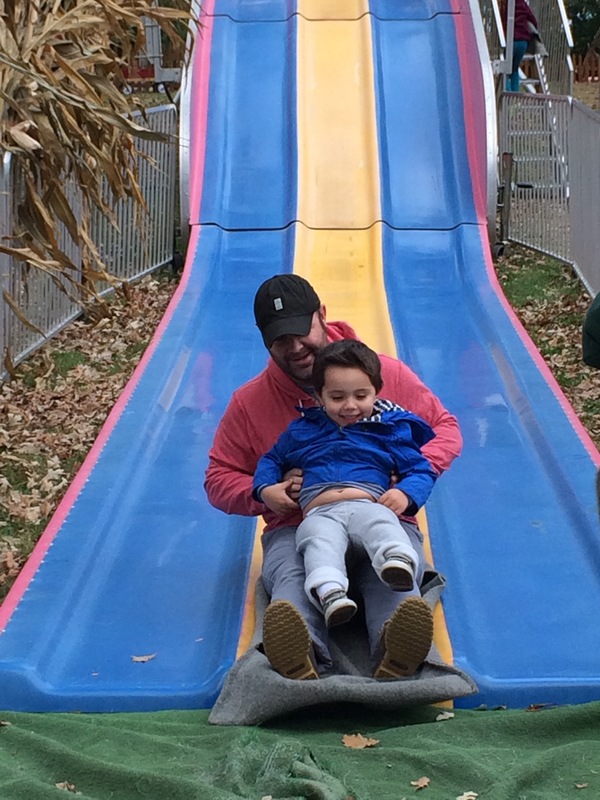 Going on all the rides -my favorite is the giant slide with Daddy and the cars – and eating yummy donuts, cupcakes, and other treats! We went to Brookfield Zoo this month, I loved it! My favorite was the turtles and the giraffes. 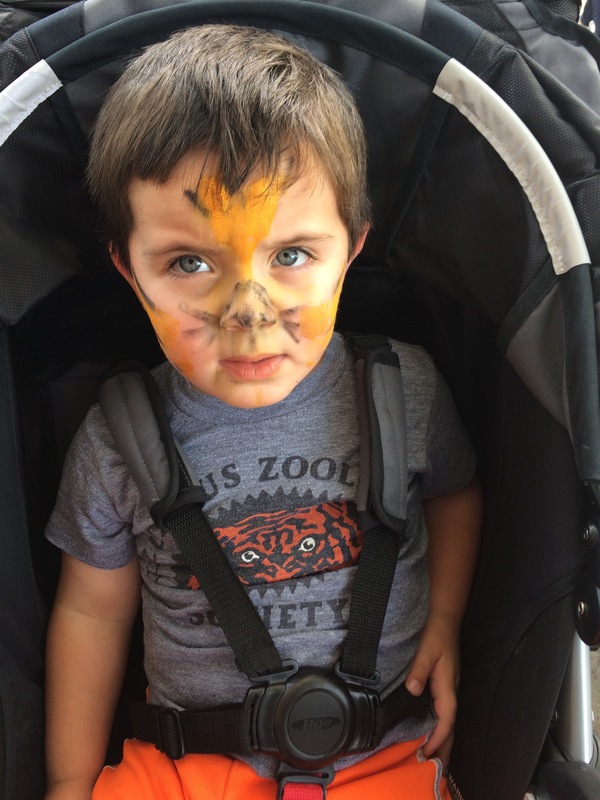 I got to ride a giant carousel there and even got my face painted like a tiger. GRRR! 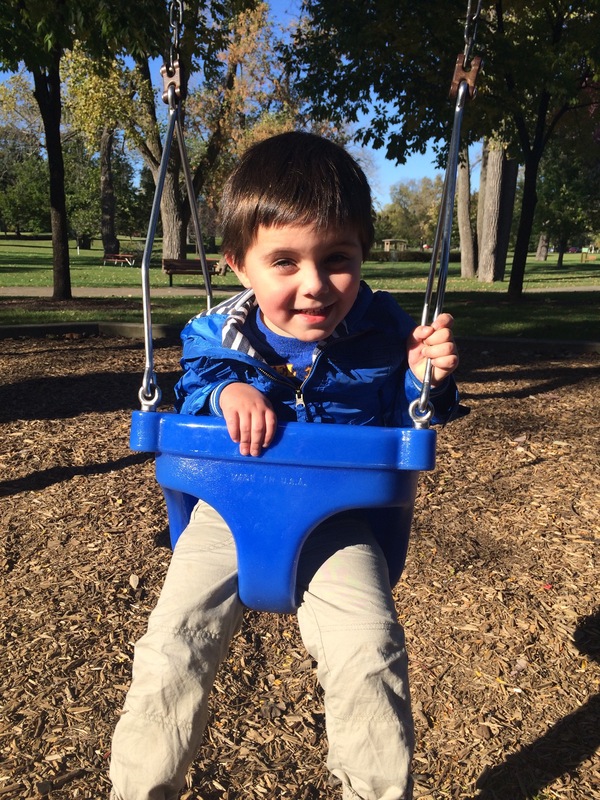 Mommy has been taking me to lots of playgrounds, too. I love to climb up to the top and go down the twisty slides. Mommy says she can’t believe how quick I get up there, I’m just like a monkey! It hasn’t been all fun and games around here. Mom and Dad gave me the job of feeding Walter and giving him a treat when he comes inside. I also have been working hard on cleaning up my toys after I play, helping mommy with the laundry and picking up leaves. It’s hard work, but I’m a good helper!